Pharmacy, Medicines and Poisons Board (PMPB) has urged caution on use of herbal and traditional medicines, saying some of the drugs could be harmful as they are not scientifically proven to be safe. The board has made the observation amid a proliferation of herbal and traditional medicines and therapies some of which are promoted as having the ability to treat or heal various health problems, including HIV and Aids, diabetes, high blood pressure and cancer. In an interview, the board’s public relations officer Mphatso Kayuwe said it has not certified any herbal medicine; advising people to source medicine from regulated places such as pharmacies, drug stores, hospitals and clinics. He said: “Currently, no traditional medicine dealer is certified by the PMPB to produce and sell traditional medicines in Malawi because the products themselves have not been assessed for quality, safety, and efficacy. 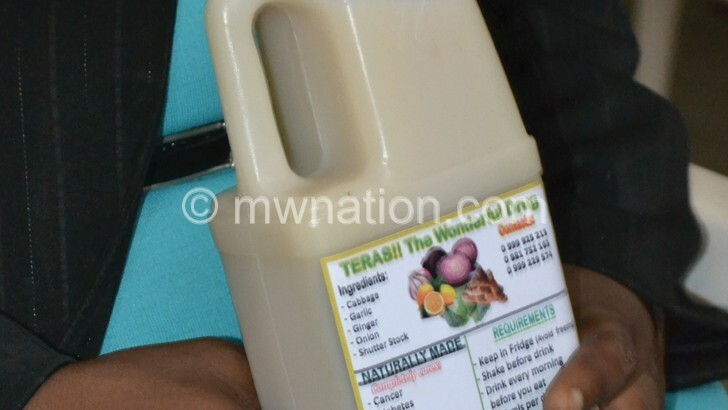 Kayuwe said licences for traditional medicines that were initially registered as nutritional supplements were suspended in July 2017 until such a time when the current draft regulations for traditional and complementary medicines are in force. He said the board, through the Ministry of Health, has facilitated the repealing of the current Pharmacy, Medicines and Poisons (PMP) Act of 1988 which has no provision for herbal medicine and replaced with the Pharmacy and Medicines Regulation (PMR) Act. Commenting on the development, Malawi branch manager for Green World, a supplier of imported herbal drugs, Noel Banda, has commended the provisions by PMPB on the regulation of herbal medicine, saying they will ensure safety for the consumers. In recent years, there has been a proliferation of herbal medicines on the Malawi market.